Beautifully simple, the Emma Enclosure Card is informative and perfectly versatile and can include travel and accommodation advice, information about wedding weekend events, or registry details. It stands in quiet juxtaposition to the uniquely ornate Invitation and makes for an excellent counterpart. 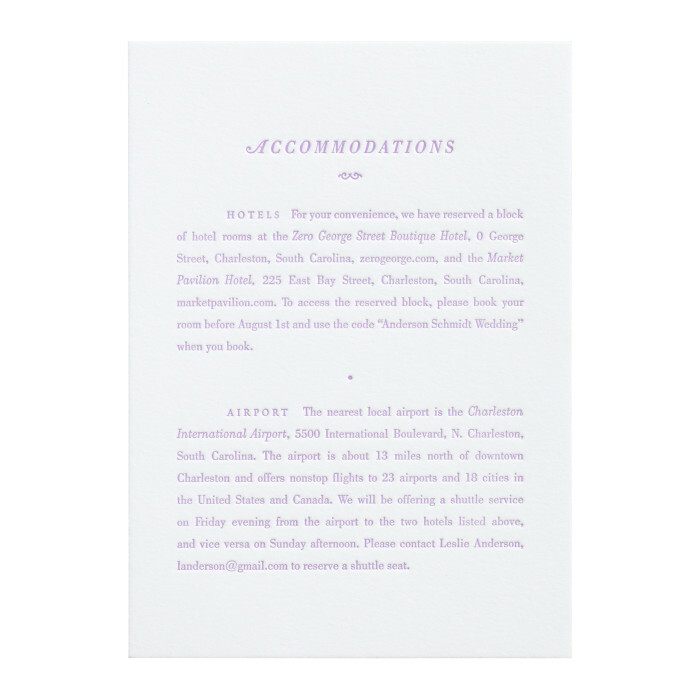 The piece is one-color letterpress printed single-sided on luxuriously thick cotton cover stock with a textured tactility. $867 for 100 one-color letterpress printed or $420 for 100 flat printed Enclosure Cards.